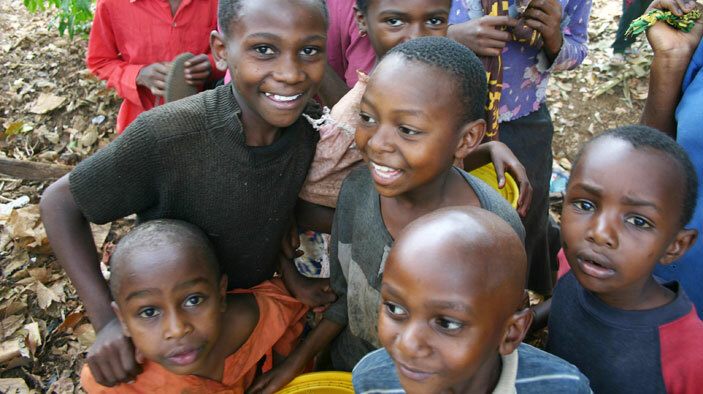 As the AIDS epidemic in Tanzania spread, treatment and care expanded and people started living longer. As a result, programs increasingly wrestled with how to mitigate the huge economic costs faced by individuals and families coping with HIV/AIDS and how to build better household safety nets. Many programs intervened to build resiliency among the affected households and mitigate AIDS’ economic impact. Intent, however, has not always translated into outcomes as economic strengthening activities undertaken by the health community have had mixed results. IMARISHA, which means “strengthening” in Swahili, is a four-year program funded by the U.S. Agency for International Development (USAID) and the U.S. President’s Emergency Plan for AIDS Relief (PEPFAR) to strengthen these economic activities. IMARISHA is forging a common language between the health and economic-strengthening communities to foster more effective programming, innovation, smart partnerships, and appropriate services, as well as a common set of indicators to measure impact. Train and mentor a wide community of HIV/AIDS implementers on economic strengthening and sustainable livelihoods topics. Work with orphans and vulnerable children and home-based care implementing partners to improve sustainable livelihoods programming. Provide technical assistance from experts in economic strengthening and sustainable livelihoods disciplines. Survey households to establish a baseline account of beneficiary household income, assets, food security, and business and financial literacy. Fund and pilot initiatives to test new or enhanced economic livelihoods strengthening models. Develop better monitoring and evaluation indicators and systems that capture household-level economic data related to asset protection, income and consumption growth, and cash flow management, among others. Assess activities to determine impact and outcomes, and identify areas where activities can be enhanced or linked to other initiatives. Trained 2,800 nongovernmental organization (NGO) partner staff, local government authorities, and community volunteers in different economic strengthening thematic areas. Completed household economic vulnerability assessments for seven prime partners, 40 local NGOs and 1,600 households in Tanzania. Introduced new tools, methodologies, and concepts to 90 HIV- and child-focused implementing organizations. Developed and rolled out 10 courses to strengthen the financial standing of households, including: savings-led microfinance; household gardening and nutrition strengthening; local chicken production; basic business skills; basic market analysis; causal and logic models for economic strengthening; adult learning; production of orange-fleshed sweet potato for improved nutrition and income; using household economic assessments; and public private partnerships. Supported new innovations in economic strengthening, including: a franchise model for most vulnerable children (MVC) caregivers for solar-dried fruits and vegetables; a job mentoring program for orphans and vulnerable children vocational graduates; an empowerment and livelihoods program for adolescent girls; a solar phone-charging business franchise for people living with HIV/AIDS; and a dairy cooperative program for MVC households.